5th September 2014 – The curtain came down on another IAAF Diamond League season at the Memorial Van Damme meeting in Brussels. 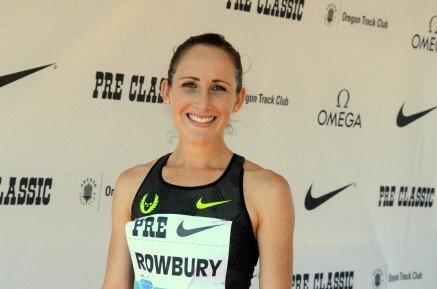 Having already set PB’s in the 1500m, 2 miles and 5000m this year Shannon Rowbury (USA) could have been forgiven for taking her foot off the gas. However, this was far from Shannon’s mind as she was in the shakeup of the womens 3000m right into the latter stages. Shannon finished fifth with yet another PB of 8:29.93. The San Francisco native will close the season next week at the Continental Cup having set PB’s at 1500m (3:59.49 in Paris), 3000m (8:29.93 in Brussels), 5000m (14:48.68 in Monaco) as well as an American 2 miles record (9:20.25) in Eugene. The current world leader in the 10,000m Galen Rupp (USA) stepped all the way down in distance to the 1500m and took over half a second off his PB setting new figures of 3:34.15 for eleventh. Just ahead of him was Vincent Kibet (KEN) who incredibly ran exactly the same time he ran in Berlin on Sunday to equal his PB of 3:33.58 and take eighth. Commonwealth champion Kemar Bailey-Cole (JAM) saw his winning streak come to an end but he still ran an equal seasons best of 9.96 seconds for fourth place in the 100m.